[He says, “I am working hard, day and night. Despite of winter or summer or rainy season, I have to work hard, day and night. If there is night duty in the winter season, I have to report to the office at twelve o’clock at night. So I must go. When there is snowfall, and if I don’t go, then I’ll be reported absent. So I am working so very hard.” Sita atapa bata barisana, jamini jagi re. “And what am I working for?” Now, biphale sevinu krpana durajana: “Just to serve persons who cannot protect me.” We think that my wife, my husband, my children, my relatives, or my friends, and so many other relationships with this material world and everyone is working to satisfy their relatives. A family man is working so hard because he has to satisfy his wife, children, friends and so many other persons. But one should be conscious that “These friends and relatives, they ultimately cannot protect me. I can neither protect them, nor they can protect me.” Everyone is responsible. Everyone is responsible for his own activities. Suppose that I am constructing a skyscraper, just like you have in this country, if somebody asks me “What is the reason you are building such a high building?” And if I answer, “Just to set fire to it.” Then the man will laugh, “Simply for setting fire, you are spending so much money and building this high building?” “Yes.” So this sort of answer is just like our present activities. You take the dead bodies to the crematorium and put them into the grave. But India of course, there are graveyards for the Muhammadans and the Christians, but the Hindus burn the dead bodies. In the Bhagavata also, these three system are recorded, that the ultimate transformation of this body will be either ashes, stool or earth. How is this? Because after death, persons who burn the dead body, is turned into ashes. This beautiful body, will be turned into ashes. If we bury it in the ground, the body will gradually turn into earth. And according to the Iranian system, the body is thrown to the vultures. They eat it, and than it will turn into animal stool. That is the last stage of this body. Everyone knows that they will die. [This is a song by which a devotee is praying and asking his mind, bhajahu re mana. Mana means mind. Because, at the present moment, our mind is the driver, and this body is considered just like a car. In the Bhagavad-gita it is also stated, bhramayan sarva-bhutani yantrarudhani mayaya. This body is a car made of material nature. The living entity, what is said, “I,” I am now seated in this car prepared by material nature, and the driver is the mind. But the driver is not under my control. The driver is taking me anywhere he likes. Personally, I am not able to drive. I have engaged a driver, which is called the mind, who is carrying me (the soul) anywhere it likes. So therefore the proprietor, I, being helpless, request the driver, “My dear mind,” bhajahu re mana, “My dear mind, you kindly worship Lord Krsna.” Sri-nanda-nandana. Sri-nanda-nandana means Lord Krsna. Lord Krsna appeared as the son of Vasudeva, and He was accepted by Nanda Maharaja as His foster father. “I am requesting that you worship Lord Krsna who is abhaya-carana.” Abhaya-carana means He’s the fearless shelter. If we take shelter of Krsna, then we become free from all anxieties. Just like a helpless child, when he’s taken care of by his parents, he becomes carefree. “Similarly, I am requesting, my dear mind, you do not drive in this way, dangerously. Please worship Lord Krsna who is fearless shelter.” Bhajahu re mana sri-nanda-nandana-abhaya-caranaravinda re: “His lotus feet is fearless shelter.” One who takes shelter, as the Lord says in Bhagavad-gita, sarva-dharman parityajya mam ekam saranam vraja. Now, either you say Krsna or you say Superconsciousness. Superconsciousness is the impersonal conception of Krsna, and Krsna is the personal conception of Superconsciousness. Krsna means that He’s not only superconscious, but He’s supreme bliss and supreme knowledge-supreme knowledge means superconsciousness-and eternal, supreme consciousness, supreme bliss. That is the definition of Krsna. Now, then the devotee says that durlabha manava-janama sat-sange taroho e bhava-sindhu re. Now, this body, this human body, is durlabha. Durlabha means very valuable. It is obtained after a great struggle of existence. We have to come through so many species of life: aquatics, birds, then trees, reptiles, then beasts. There are so many, so many different forms of life. There are eighty-four lakhs (8,400,000) species of life, and we had to pass through all of them by gradual evolution. This theory is accepted by Darwin also, evolutionary theory. This human form of body is very valuable. So he requests, “My dear mind, …” Of course, in lower animal life the mind is there also. Their mind is not developed, but they have got mind. In the very lower animal living condition, the mind is not at all developed, but at least, in animal life there is mind. Now, the devotee is requesting that “This life, this human form of life, is very valuable. Don’t waste it. Don’t waste it, but you just try to make your life successful in the association of saints and sages.” Yes. “So you should not associate with anybody else, but associate only with saints and sages and make this valuable human form of life successful. Don’t waste your time. Worship Lord Krsna with the help of the saints and sages, and make your life successful.” That he is requesting. “Don’t drive me into the ocean in this irresponsible way.” It is also requested that “We are like in the ocean of birth and death.” This material cosmic situation is sometimes compared as the ocean, and these planets, they are compared as islands. But actually, the planets are islands in the air. Just like there are islands in the sea and ocean, similarly, these planets are islands in the air, and there are so many air islands. I thought it was interesting to post this information about purports to “Bhajahu Re Mana” which is a Vaisnava song about the mind. The mind can be our enemy or our mind can be our friend. Our mind becomes our friend when the mind is properly engaged in God consciousness, Krsna consciousness. Coming from a Christian family I spent my childhood under the impression that I only had to attend services at least once or twice a week to be saved by Lord Jesus Christ. Of course, there was much talk of Lord Jesus Christ in the Christian belief, but what talk is there of God being a person who is all beautifull, all-perfect, all-loving? The Christians and certain other beliefs have made so much progress in materialistic advancement, but how much progress has been made to understand our eternal relationship with God as a person on an eternal personal level? Srila Prabhupada is advising to live simply in these purports. I am inclined to believe this is the compromise. Actually around half of the twelve Great Mahajanas (the greatest authorities regarding God consciousness and Vaisnavism) are of the royal order and so possessed of great material wealth. Then, the other Great Mahajanas are so so extremely renounced there are like super beings. Amongst the Great Mahajana that are super renounced we have the four Kumaras and Sukadeva Gosvami who apparently are usually going about society completely naked. Especially the four Kumaras remain as children of around five years of age and they can travel almost anywhere throughout the spiritual and material existence without a space ship or space suit. How are ISKCON devotees going to ever establish some kind of monarchies dedicated to God consciousness and Vaisnavism? Are some devotees going to be fighting over a royal crown or royal throne? How are ISKCON devotees going to ever become as renounced as Sukadeva Gosvami? Are we going to learn how to live in the forest completely off the grid in the woods of New Talavana? 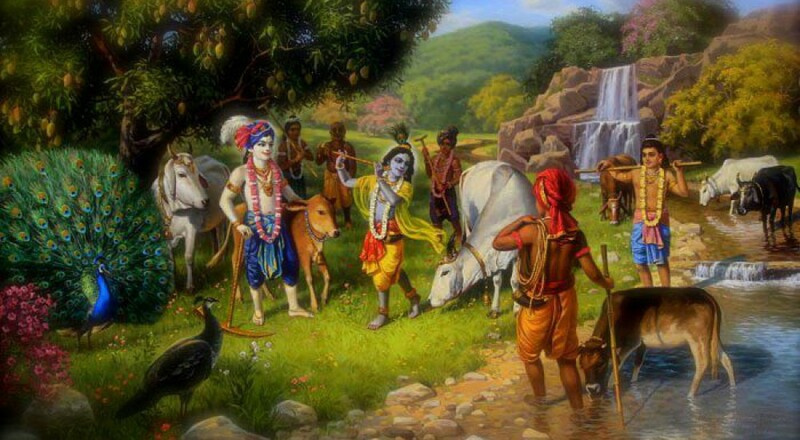 How much is any devotee learning wilderness survival in accordance with Krsna consciousness? How are ISKCON devotees ever going to live on only a handful of rice every day? It may be on rare occasions, but Srila Prabhupada did sometimes recommend more extremes beyond the regular ISKCON standard. We can see the story of the handful of rice appearing in Srila Prabhupada’s teachings on rare and specific occasions. I am providing quotes regarding the story of Visnupriya, the second wife of Sri Caitanya Mahaprabhu.